Out in the Passage of Tiree the waves are crashing over the bow of the vessel. As she enters Gott Bay to berth at the pier, the sea appears deceptively calm compared to the open water. With comparative ease our Hebridean Visitor, the MV Hebrides, comes alongside the pier and safely berths. However, the stern ropes, are under considerable strain, and you wonder how much longer they are going to hold before breaking. Thankfully, yet almost unbelievably, they hold and our Hebridean visitor sets out on the return leg of her sailing, heading back to Coll and Oban. For all too brief a period ,the pier feels at the centre of life on Tiree – disembarking and embarking, coming and going, welcomes and goodbyes, passengers and freight. Then, all too soon the queue for the ferry is empty, The ropes are cast, the vessel departs and although there is work to be done in the office, the busyness is over for another day. However, life on Tiree continues in all is various hues. Mouseover photographs for titles. Double Click photographs for larger copies and slideshow. With the MV Clansman relieving on the Uig Triangle (Skye to North Uist and Harris Service) the MV Hebrides took over for her on the Oban-Coll-Tiree service. 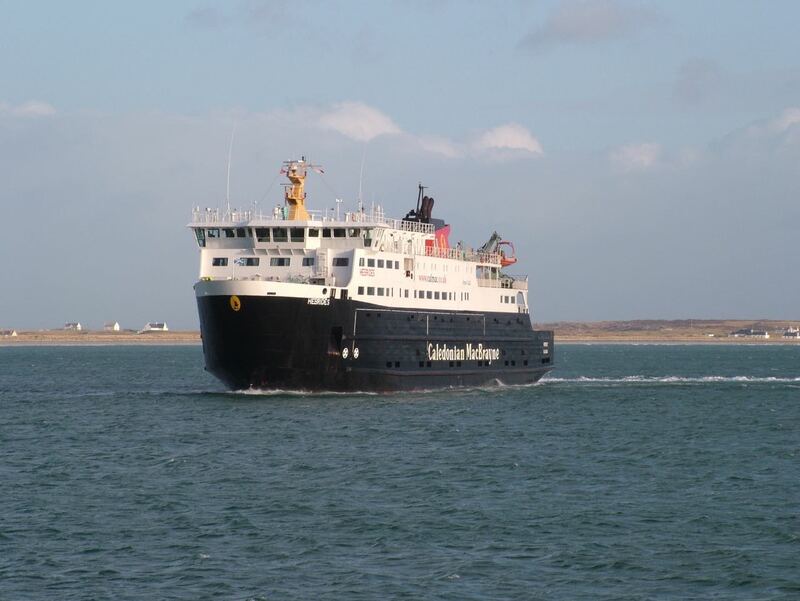 The Hebrides normally on the Uig Triangle had been relieving on the Arran Service (Ardrossan – Brodick). She departed from Ardrossan at 20:30 on 23:01:15 and arrived in Oban at 6:22 on 24:01:15, and departed for Coll and Tiree at 7:27. After her first visit to Coll she arrived at Scarinsh at 11:19 and departed at 11:43.